Stemming from the famed Tatuaje La Seleccion de Cazador, or Cabinet Selection, comes the delicious Unicos. 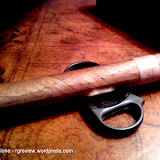 A full-bodied 6 1/8 x 52 Corojo wrapped Nicraguan vitolas. Rolled in Miami, FL by master rollers, this rich leathery cigar is sure to please. Rather handsome in appearance, the Unicos displays a tapestry of veins throughout the wrapper, while standing confident in all it’s pre-light glory. A distinct aroma of woody-leather greats your nose, and invites you to clip and light. 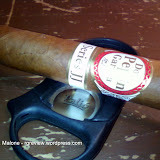 Generally I don’t prefer the torpedo style vitolas, but it seemed fitting for this particular cigar. 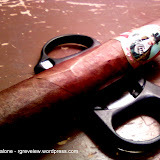 The draw was wide enough to make for an enjoyable smoking experience (however, I tend to be a wet smoker and eventually the head became somewhat gummed up). This did cause the flavor profile to move from a slightly sweet hazelnut flavor to more of an earthly, woody flavor from the mid-point to the end. I’ve come to really enjoy the first draw of this cigar, as you taste buds are met with a barrage of white pepper spice, that lingers long in the back of your throat. Be forewarned, the Unicos puts forth a huge amount of heavy white smoke that likes to hang low in the air. Also, a distinct element of this quality cigar is its tight grey ash. Producing a relatively even burn; it does well to correct itself easily enough. While this wasn’t my first ever go around with the Tatuaje Unicos, I was reminded by the end of the subtle punch it likes to pack. 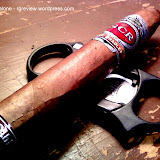 A slight buzz at the end not withstanding, I would enjoy this cigar time and time again. My advice however, be sure to eat a hearty meal ahead of time, and you should be just fine. Great review. I actually smoked one of these fantastics stioks the other day too. 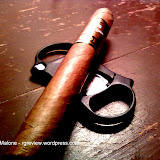 I especially liked the prelight look of this particular cigar from Tatuaje, really a beautiful cigar to look at. 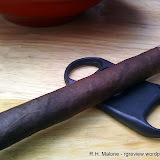 I read a another review on this cigar that said they had a taste of hickory. I actually didn’t taste this, but the taste I would add to your review could only be described as a sweet grass taste. I also thought there was a nice nutty taste, which gave it the meatiness you described above. Ditto on the “Gumminess” due to moisture, this cigar was definitely a “wet” cigar for me. And certainly the shape didn’t help. At 2/3rd point the strength of this cigar had really caught up to me. 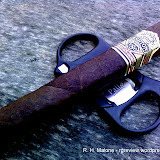 This cigar started as a solid medium strength, but at the end it was definitely full bodied for me. Again, great review. Keep up the good smoke. Baron, thank you for your comment. I’d not thought of, nor picked up on hickory specifically. However, I suppose, that might account for the hint of sweet that resonated throughout the smoke. I guess I’ll have to try another and see what produces the next time around. Happy smoking! 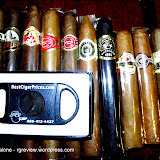 Cigar smoking is not just only a part of entertainment but sometime it becomes a part of passion among the people. Quite true Harry, thank you for stopping by the RG Review and for taking the time to comment.